The Electrocyte Appendix is an artificial organ that could be implanted into the body to allow people to become electric organisms. Inspired by the electric eel and the way it uses electrocyte cells to produce electrical current from its abdomens, the organ is constructed of artificial cells* that mimic and improve the electrocyte mechanism by converting blood sugar into electricity. 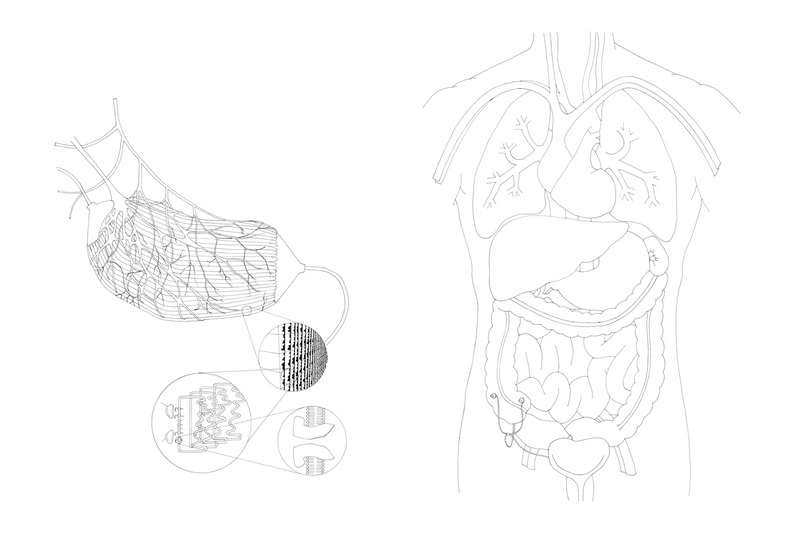 Replacing the vestigial appendix, the artificial organ brings a new functionality to the human anatomy, giving humans the ability to farm and produce electricity directly from their body. By discarding the remains of redundant anatomical functions in favour of new abilities, the body is redesigned in order to sustain its new way of living. Biotechnology could allow us to transform our genus into something else. The idea of our species changing from Homo-Sapiens into Homo-Evolutis (the human as a species controlling and designing its own evolution) is materialising quickly in research labs. And what kind of genus be constructed when the Homo takes after the Gymnotus? Forecasts for 2050 point towards technologically assisted reclusiveness, self sufficiency and social isolation. These behaviours are enabled by communication networks which allow one to survive without leaving the home or having physical interactions with others. In this kind of existence, where electricity becomes vital for survival, should the body adapt to the behaviour and adjust to sustain it? Humans are by nature social animals, by retracting into a self sustaining solitude a person becomes not dissimilar to the electric eel in behaviour. The eel is a solitary animal, it lives alone, hunts and breeds without any interaction with other organisms, it senses and reacts to the presence of others through electric charges. 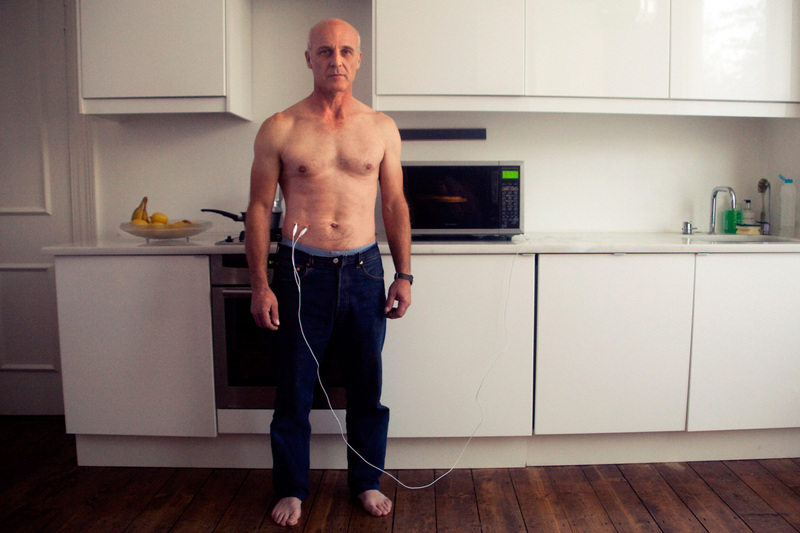 As we start behaving this way, should our bodies evolve to provide us with electric energy? In this future scenario the body changes its function; instead of an organism designed to attract, socialise, mate and reproduce with others, it becomes an electricity generating vessel, nurtured and harvested by its owner, designed to sustain a new form of virtual existence for an individual who lives through electronic networks. * Based on the research Designing artiﬁcial cells to harness the biological ion concentration gradient by Jian Xu and David LaVan, Nature Nanotechnology, September 21, 2008.